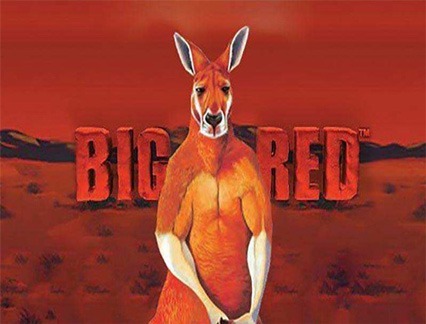 Game Information: Released in July 2014, the Big Red pokie machine game has since been a favourite for those from the land down under. Exquisitely designed by notorious gaming brand Aristocrat, the interactive pokie game was designed with 5 reels and 5 paylines, a perfect fit for both new and seasoned pokie enthusiast. The simple yet intricate design of the game allows players to enjoy a high volatility game at an impressive RTP percentage rate of 97.04%. Players with an appreciation of the Australian Outback will find the theme of the game most entertaining. 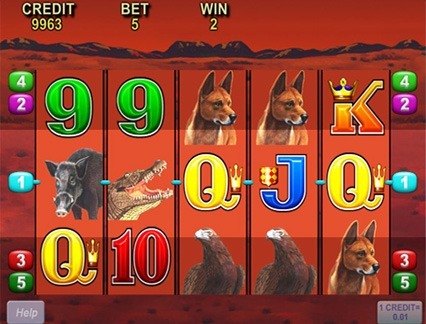 During the journey through the Australian Outback, players will be able to adjust their bet sizes according to their bankrolls ensuring each gaming experience is a pleasing one. The Scatter Symbol: The Tree icon functions as the scatter and may appear on any active reel. The Wild Symbol: The Kangaroo icon functions as the wild and only appears on reels 3, 4 and 5. The wild will substitute any symbol it lands upon to help players form winning combinations but it doesn’t substitute the scatter. Free Spins Feature: The unique design of the Big Red pokie machine game allows players to trigger free spins in a unique manner. Players can trigger this feature by landing a wild symbol in a winning combination. This will then award players with 5 free spins for each individual payline which the wild contributes to. During the free spins round, if any additional wild combos are achieved, players will gain and receive 5 extra free spins. Should a player land scatter symbols during this feature, the player then too is awarded with the same amount as the original payline. Look for a 2x multiplier to increase winning payouts. The free spins bonus round can be re-triggered and tally up an impressive amount of 255 free spins in total, an opportunity hard to compare in any other pokie game. 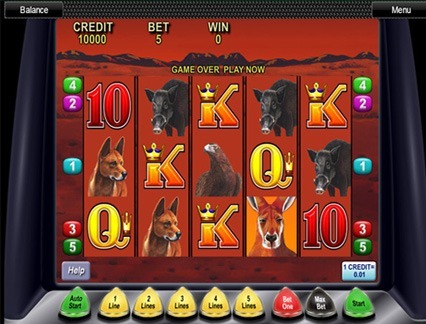 Gamble Game: Players will be enthralled to find a gamble game can be accessed after each winning combination. This feature grants players the opportunity to massively increase their win amount immediately after they received it. The gamble game is optional and so if a player selects it they will be taken to a screen where they will need to correctly guess the colour of the hidden card. One wrong guess will lose players their winnings earned during the round it took them to get to the gamble feature. A winning guess will progress players onto the next round where they can choose to play again and stand to lose double their winnings or they can cash out. The sunset hues of red and yellow make for a peaceful and tranquil feel, one where players can imagine what it must feel like to be exploring the lands of Australia. The graphics are impressive as they are designed using older technology yet still manage to capture the audience’s attention. Like most Aristocratpokie machine designs, Big Red doesn’t provide players with lyrical background music but rather the sound of an actual pokie machine upon each spin and a winning combination. Players can opt to turn the sound effects off or keep them on to create a real time game play experience. Although the jackpot amount of 1250 coins may seem like a minimal amount for high stakes players, the bonus rounds and retriggers is where the cash lies. For players aiming to unlock the jackpot coin payout, the higher the bet size the bigger the win. Most Big Red players don’t find the jackpot amount to be the main attraction as the game pays out frequently and generously. However some may find chasing the jackpot to be a welcome challenge and stand to even unlock it, whether they are looking to or not. The games special features include the bonus rounds where players can unlock up to 255 free spins, allowing for some serious cash back rewards. The gamble game is an added bonus for those keen on games of chance and who feel lady luck is on their side. Thanks to the available special symbols, players shouldn’t find it too difficult to unlock the free spins, bonus games and gamble game. All of these features are what have made Big Red a high volatility pokie machine game and earned the creators their notorious name.